The Cooper Medical School of Rowan University in Camden. A South Jersey medical school is one of toughest in the nation to gain admittance. The Cooper Medical School of Rowan University in Camden just made U.S. News and World Report's ranking of the 10 U.S. medical schools with the lowest acceptance rates in fall 2018. The school came in at No. 10 on the list. It received 6,708 applications and admitted only 203 students, for an acceptance rate of 3 percent. 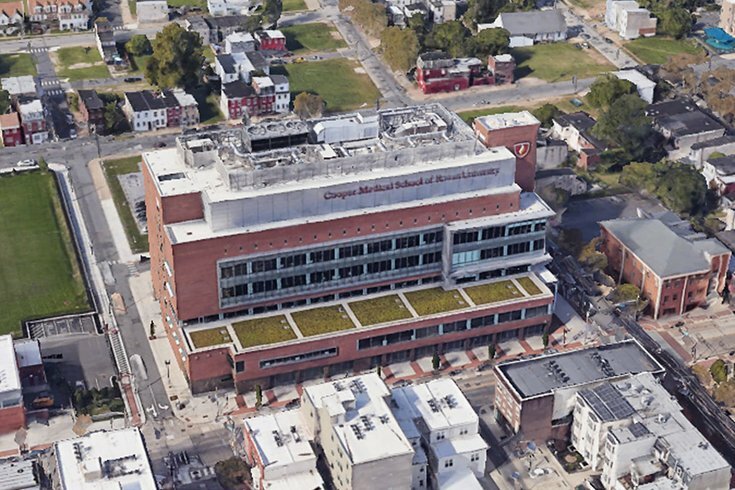 RELATED READ: CHOP again ranked best pediatrics department in the United States. Rowan University and The Cooper Health System created a partnership in June 2009 to establish the medical institution to address a local and national shortage of doctors and to improve healthcare in the Philadelphia region. The school opened in summer 2012. Other highly accredited schools making the list include UCLA and the Mayo Clinic School of Medicine (both with a 2.1 percent acceptance rate), Stanford University (2.5 percent), Georgetown University (2.6 percent) and Brown University (2.8 percent). Leading the list was the University of Arizona at Tucson (1.9 percent). The average acceptance rate among the 10 med schools that admitted the smallest proportion of prospective students last fall was 2.4 percent. The odds are better at some med schools. The University of North Dakota School of Medicine and Health Sciences had the highest acceptance rate among ranked schools that reported these data, admitting 20.5 percent of applicants, according to U.S. News. Among the 118 ranked U.S. medical schools that reported their fall 2018 acceptance rate to the digital news site in the annual survey, the average was 6.8 percent. That staggeringly low number means competition is fierce for medical school hopefuls. For contrast, the general acceptance rate at Temple University is 57 percent, with the University of Pennsylvania at 9.9 percent. Check out U.S. News and World Report’s full Top 10 list. Full disclosure: George E. Norcross III, the Chairman of the Board of Trustees of The Cooper Health System and the Cooper University Hospital, is the father of PhillyVoice Founder and CEO Lexie Norcross.